When planning a big destination trip like Sturgis, one of the most important decisions is selecting your home away from home. 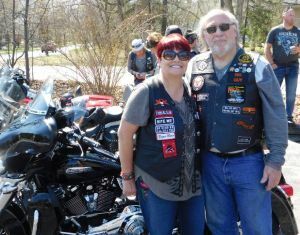 Lucky for us attendees, the warm, friendly folks of South Dakota have been throwing these kickass biker parties for over seventy-five years, and that gives them a lot (A LOT) of experience in being hosts. And because they are used to doing this on a large scale—500K attendees and growing!—there are numerous choices in lodging; everything from tent/primitive camping to dry cabins to full-hookup RV sites to comfortable hotel rooms with full amenities. Private homes are even available for rental, both within Sturgis and throughout the surrounding area. For instance, when we checked out the listings for places to stay on this website, we learned there are over three hundred sortable options at our fingertips. All we had to do was select what type of lodging we wanted and how close we wanted to be to downtown Sturgis. There are dozens of campgrounds in the surrounding area of varying sizes, with varying amenities. Some of the larger campgrounds offer food and beverage service on-site, live concerts and daily entertainment, merchandise vendors, flat tracks, convenience stores, tattoo artists, even swimming pools and laundry facilities. With such a variety of locations and lodging options, there are choices to fit everyone’s budget. best choice; and it even saves the hassle on finding a place to park. events for the duration of the rally. FTS offers concerts and entertainment throughout the rally, and because we are staying on premises, we can attend at no extra cost. We can also eat and drink without leaving the property.